It is all-important that the roadsides are completely clean, so that pilgrims can perform their route not only as comfortable as possible, also in the safest way possible, without being forced to have to invade the rails by circulating vehicles due to the poor state of the road shoulders. Therefore, a large number of municipalities, especially now that summer arrives and the influx of pilgrims and tourists is much greater leverage to undertake weeding large amount of its tracks. 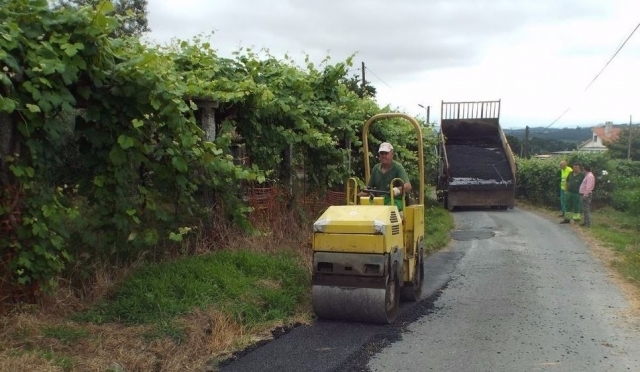 Silleda is one of the municipalities that are currently cleaning the weeds in many rural roads. Moreover, the brigade works in Piñeiro is putting its focus on cleaning the gutters of the Camino de Santiago that runs through the area. So far the abundance of weeds difficult the passage of pilgrims. The mayor of Works and Services, Klaus Brey, said the work is being long and laborious due to the large amount of rainfall last winter, so ask for understanding neighbors. They are the only maintenance work carried out at the town hall and the parish, as they are bacheando some roads in some spots. 0 reviews Distance to Santiago: 40 km.